Kyle Wilder is a soloist/performer, choreographer, teacher, and producer straight out of Dover, New Jersey. He began his formal dance training at age 8, studying tap, hip hop, jazz, ballet, and lyrical. In 2002, Kyle auditioned for and joined the New Jersey Tap Dance Ensemble's Young Talented Tappers and has since become a Principal Dancer and Soloist for the ensemble's professional adult company under the direction of Ms. Deborah Mitchell. In 2003, another turning point in Kyle's education came when he met and studied with Savion Glover during a workshop at NJPAC. Additionally, Kyle has worked with Maurice Chestnut's Above Ground Project in performances such as the Fall for Dance Festival at New York City Center, as well as the E-Moves Concert Series at Harlem Stages. In 2008, Kyle worked with Savion Glover in the recreation of a piece titled "Black Out" from the Tony Award winning production "Bring in 'da Noise, Bring in 'da Funk." It was performed on National Tap Dance Day as part of New Jersey Tap Dance Ensemble and Savion Glover's Celebration at Newark Symphony Hall. In 2012, Kyle became one of six artists featured in The Bad Boys of Dance production, Rasta Thomas' Tap Stars. 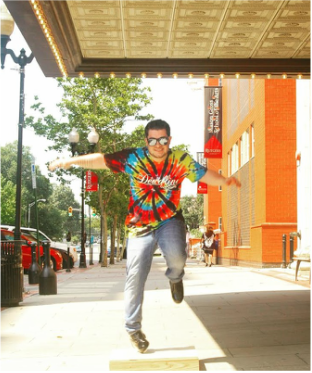 As a member of the cast, Kyle has performed at The Kennedy Center in Washington D.C. in "JUBA! Masters of Tap and Percussive Dance" as well as The Norman Rothstein Theatre In Vancouver, BC Canada alongside Chloe Arnold's Syncopated Ladies for the prestigious Vancouver International Tap Festival. As an independent soloist, Kyle has worked with numerous bands/artists such as Yvette Glover, Hillary Marie Michael, Jeff Foote, Tyler Mahler, The Natt Adderly Jr. Trio, and The Artificial Heroez. Kyle has also been featured in The Boston Tap Company's production "Rhythm in the Night" and New Jersey Tap Dance Ensemble's "Generation Tap." In addition to performing, Kyle teaches and choreographs for numerous studios in the tri-state area. Currently, Kyle is working on his own project, "The Organic Tap Experience." The project aims to blend story telling, singing, music, and of course tap dance together in order to create an outlet for real life physical, emotional, mental, and spiritual human experiences, placing tap dance in a context that everyone can understand and relate to. Kyle has been deeply inspired by the master artists who have come before him and aspires to keep the dance alive, not only in his generation, but in the many generations to come.